Hundreds of L.A.P.D. 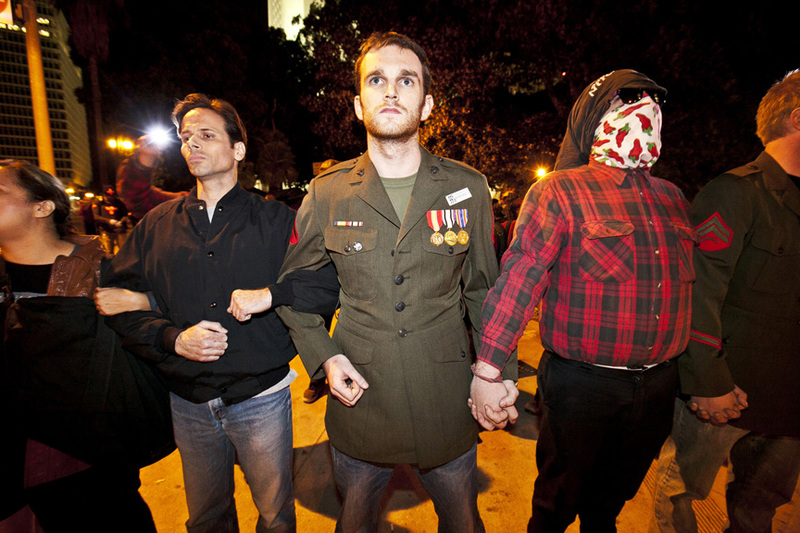 officers were lined up and ready to move out the occupants of Occupy L.A. in downtown L.A. last night. 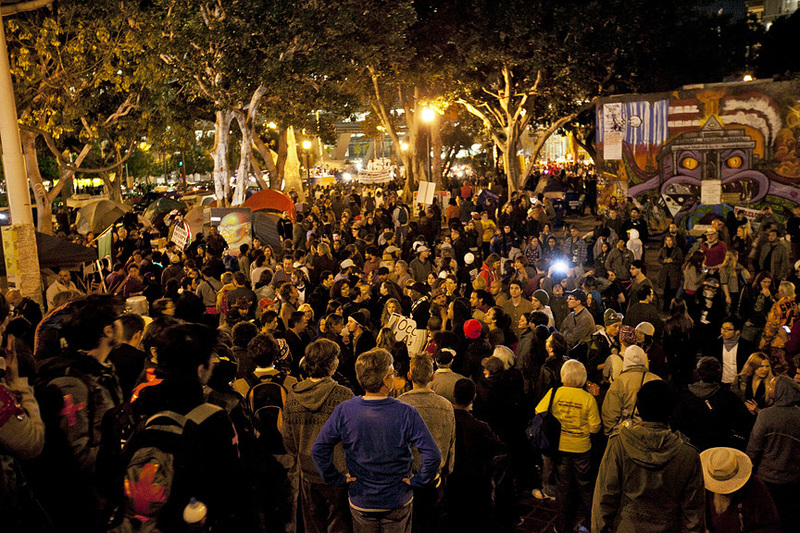 Hundreds of Occupy LA demonstrators took over First Street for most of the evening, stopping all traffic in the area. L.A.P.D. 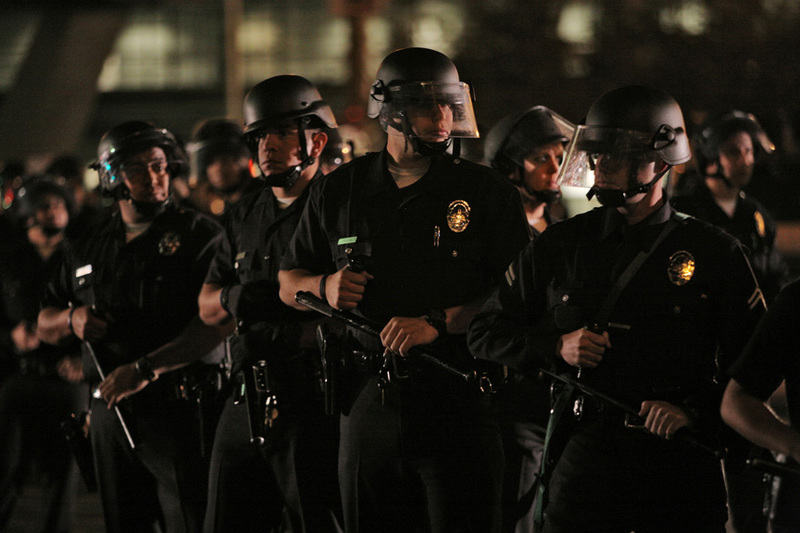 officers asked the demonstrators to move out of the street and back in to the park at L.A. city hall. The eviction notice that was ordered by L.A. Mayor Antonio Villaraigosa was supposed to take affect at 12:01am Monday evening. 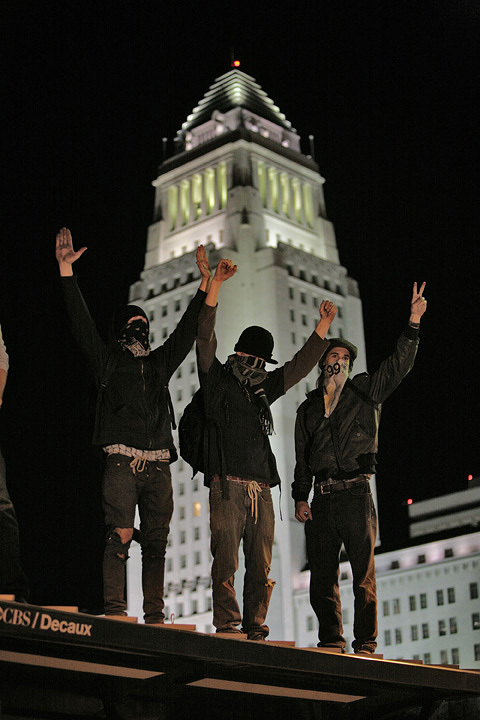 Occupy LA protestors at LA city hall. 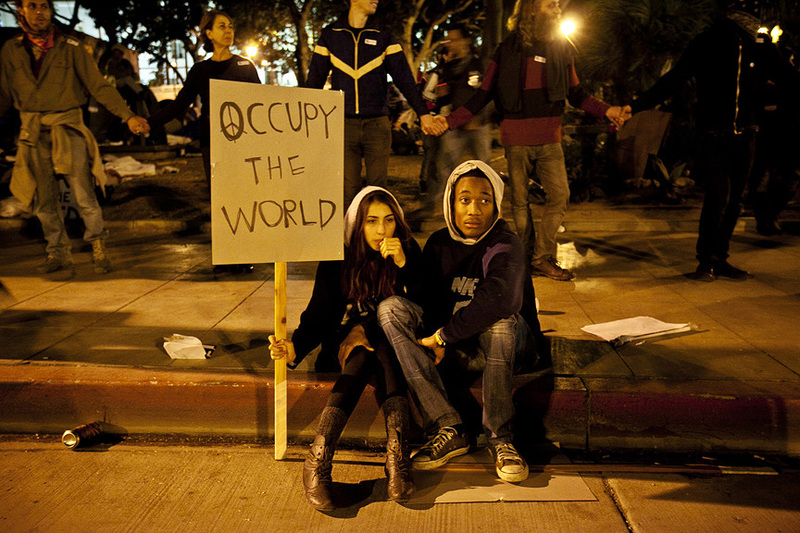 Occupy LA demonstrators on First Street. 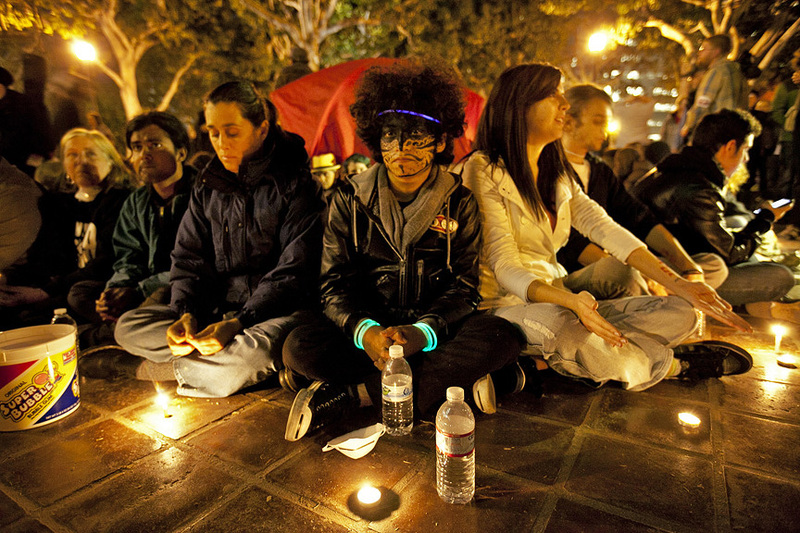 Occupy LA demonstrators link arms around city hall park. 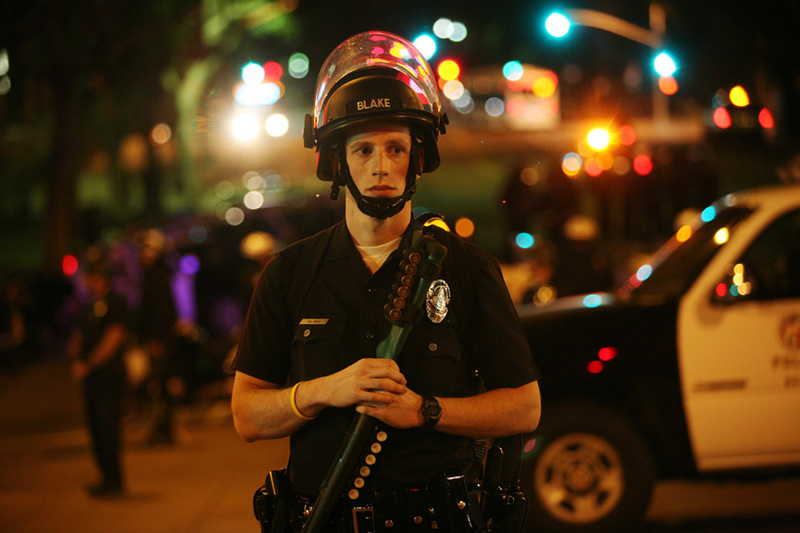 LAPD officer on First Street.